A few days ago, a phone believed to be the OnePlus 7 Pro technical specifications and photos were leaked to the internet. The device is said to be one of the three phones to be launched by OnePlus within a few months, along with the OnePlus 7 and the OnePlus 7 Pro 5G. We recently shared the technical features and design of a phone that is thought to be the OnePlus 7 Pro. Now we have a proof of existence of this phone: a poster. The visual in the poster reveals the phone’s slogan and gives a little information about its camera. The slogans of OnePlus 6 and OnePlus 6T appear as “The Speed You Need” and “Unlock Speed” respectively. The OnePlus 6T McLaren Edition has its own motto: T Stop Say Hi to Speed One. 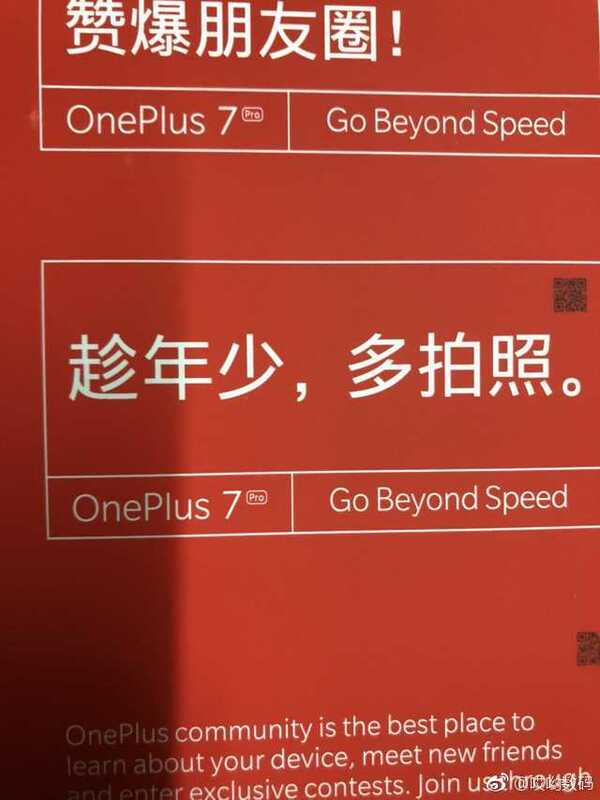 For OnePlus 7 Pro, “Go Beyond Speed” is used. OnePlus phones are pretty fast compared to their competitors. Some critics even say that Google is faster than a Pixel phone that works with pure Android. OnePlus never goes without stressing how fast their phones are. The poster also has a post dedicated to the phone’s camera. Although the article does not specify an important detail, the phone’s camera is one of the most prominent features. The phone is expected to have three rear cameras, 48 MP + 16 MP + 8 MP. The Honor V20 and Honor Magic 2 come with the GPU Turbo 3.0.